His rebellion is embodied in the physical phenomena, in the palpable materiality of his art. He does not pay any deferential tribute to any arching esthetic dictamina. He propounds in a serenely quiet and countervailing way that art need not subscribe to any one restrictive philosophy but can embrace expansively myriad paths and approaches to self-discovery and the realization of self-expression. 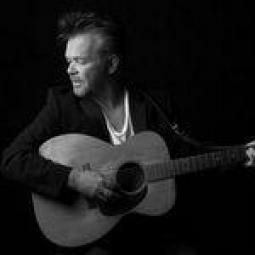 In fact, Mr. Mellencamp harbors a manifesto. It is a tacit utterance that all art should be delivered of all subjugation to codices of principles. Its primary and signal purpose should be the unwavering pursuit on the part of artists to define their unique sensi- bilities, to strive to attain their singular objectives by utilizing whatever resources, whatever means, whatever inspiration, technique and methods necessary for actualization of their vision. When you observe closely the diversiform strategies he deftly employs, the profusion of styles and executions he commands, and the span of his subject matter, you will, I think, conclude thathis voice is a voice that resonates with a confident message that all artists and that the primacy of all art should be to capture and aggrandize the you in you, not the somebody else in you. Indeed what is most compelling is his necessity to remain true to himself, no egregious obedience to others and seek no justifications or rationales for the inviolability of his individualism. One of the canonical pieties of modernist art is that art is about art. It is not about politics, history, mythology or storytelling. In painting it is about the application of paint to surfaces, the adherence to forms, shapes and colors in association with one another in an integral composition. In other words, it’s art for art’s sake, what some call formalism. John Mellencamp runs afoul of this piety. He addresses, consciously or unconsciously, the nemeses of the formalists by fully exploring a host of narratives: social injustices, political diatribes, the saturnine nature of humanity, the depravities and brutalities of existence. And he does it with an unapologetic, straightforward, thrusting directness crackling with unassailable probity. Another piety, although some naysayers may not consider it so, is that art should be in compliance with an accommodating nomenclature. They might not admit it, but they like art to fit into an aesthetic category—naturalism, expressionism, conceptualism, impressionism and a rash of other isms. If it doesn’t fit this smothering stricture, it can cause perplexity, be demeaned or simply ignored. Mr. Mellencamp runs afoul, as well, of this categorization. I would be hard pressed to define, if not totally incapable of delimiting the boundaries of his work by reducing the breadth of his creativity with pigeonholing, convenient names or definitions. While he doesn’t explicitly eschew these tenets, his art is of such an opulent diversity, such an anthology of explorations, that it is nothing less than a spectrum of endeavors endemic to themselves. Yet another piety, perhaps open to dispute, is that artists should be considered creators of a gravitas worthy of serious attention, should immerse themselves in one discipline, in one conveyance of expression, one and only one medium, and devotedly stick to these pursuits. If they do not abide by this thought, they should be charged with the culpability of vapid superficiality and a numbing want for sobriety and depth. Since Mr. Mellencamp is also an accomplished musician, exalted as an iconic one by some, how could he conceivably possess the polymathic skills and gifts, to be a markworthy artist of another taxonomy? Yet this exhibition is, I believe, an eloquent denial of those who would cast doubt on his talents for expressing himself consummately in the modes he has chosen. He, then, is not a deliberate apostate of the or- thodoxies of the arts. He is not engaged in an articulated campaign of revolt the aim of which is to avow that art should be this or that. He is rather an apostle of the heterodoxies of expression. His is, once again, a plea that art should follow the directions, including its whims and caprices, of the individual spirit and not subject itself to the tyrannies of rules. Some see in his work, which is often writ large in outsize dimensions, a lamentation over and a jeremiad against the harrowing despairs, the tortuous solitudes, the bleak melancholies of the existential condition. They see in them a warped grandeur of distorted and grotesque figures. But are these distortions, disfigurements and gro- tesqueries or are they accurate connotations of what feral societies have become? Not satires or exaggerated interpretations, but precise portraits of the world’s dissoluteness? His portraits are searchers for souls, visual biographies of a more sedate nature, but of a poignant allure taking a prepossessing glance at the hidden privacies of the spirit. However, the corpus of his art rips off the fragile veils of avulnerable society and shines a harsh light on its vileness and villainous cruelties. It is this stark, shattering face-to-face with who we really are what we really are without our decorums, proprieties and confected gentilities. In this con- frontation Mr. Mellencamp pinpoints his powers, heightens and deepens his drama of demons. So, virtue can be impious and vice can be pious. And one doesn’t need to lay siege to the streets, write a thunderous tract or mount a podium with a booming megaphone to be an effective activist. Mr. Mellencamp’s art is an inarguable affirmation that activism can be done persuasively and convincingly with the power of images, the power of images to proselytize and to reconfigure our beliefs. David L. Shirey is a former foreign correspondent, critic and editor with Newsweek magazine, a critic and cultural writer for The New York Times and former Chair of the MFA Fine Arts program at the School of Visual Arts in New York City. He has written for numerous publications, including The Wall Street Journal, Il Mesaggero (Rome), Corriere della Sera (Milan), and Le Monde (Paris). He has been the recipient of multiple awards for his distinguished criticism and cultural writing. Posted by edubirdie 2018-12-27 09:38:51. Posted by edubirdie 2018-12-27 09:38:34. Any way I can get the English version of this? Posted by rydzik11 2018-12-21 21:20:15. Posted by Alex12 2018-09-22 09:11:04.